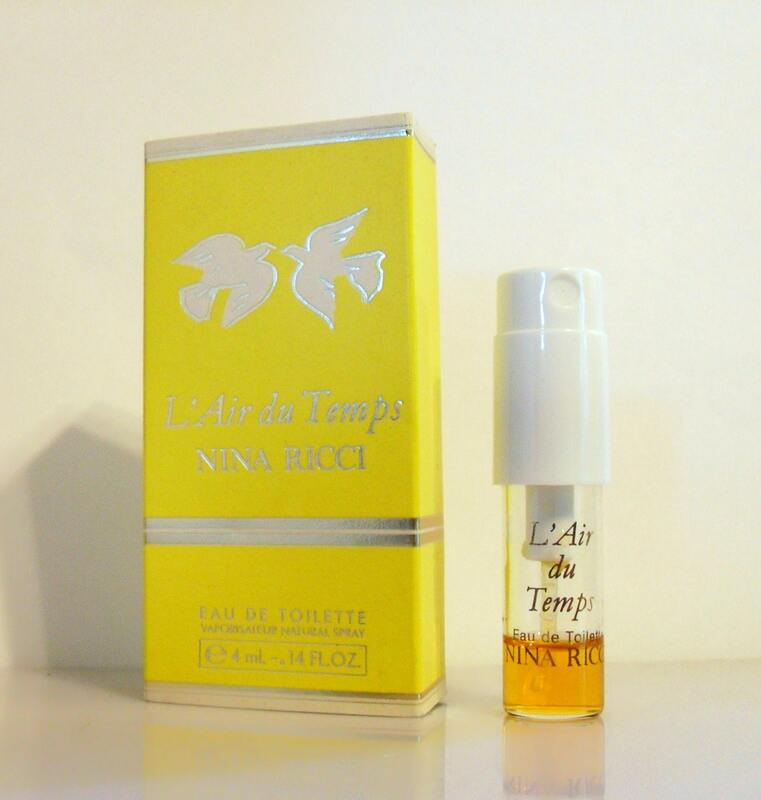 Vintage 1980s L'Air du Temps by Nina Ricci 0.14 oz Eau de Toilette Natural Spray Manufacturer's Sample in Box. It is about 35% full. 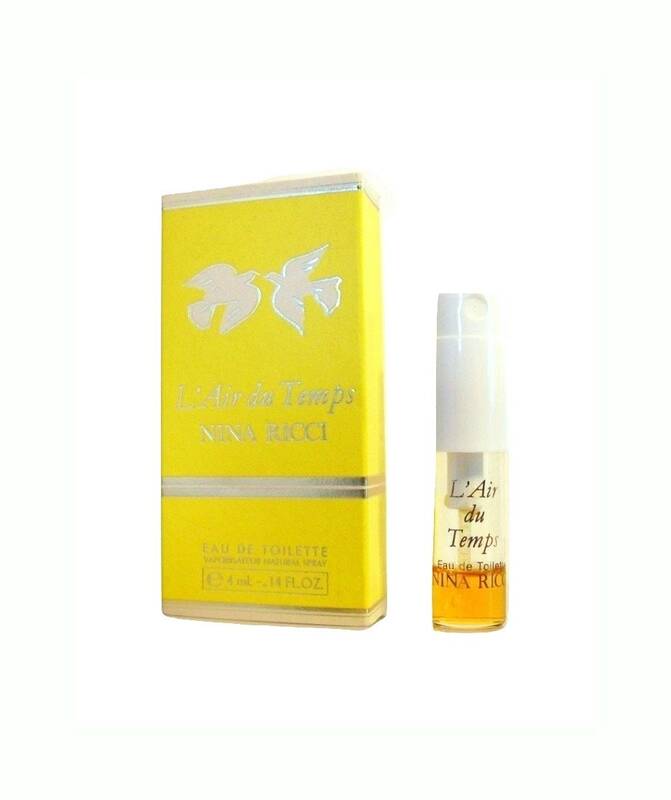 This was for a refillable purse bottle. I don't think this was filled all the way to the top of the vial when it was originally made.